Throughout the speech Pelosi, who was sitting behind Trump, attempted to undermine him without speaking a word. 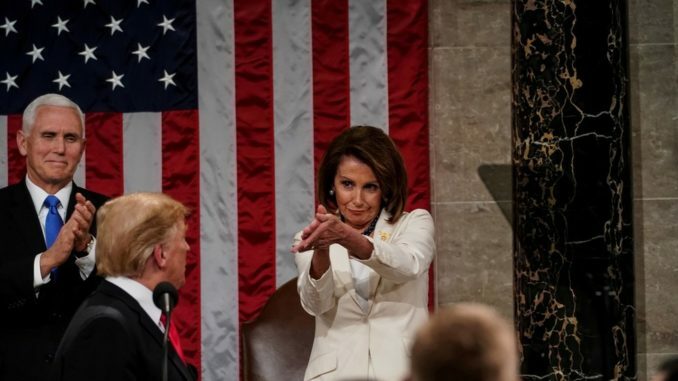 The house speaker used subtle eye rolls or appeared to ignore Trump while flipping through papers, thought to be a copy of the Presidents speech, showing her obvious disapproval. RT reports: During his 80-minute speech, Trump appealed to Americans of all ideological stripes to find common ground and embrace compromise – a message that arguably clashes with the president’s habit of roasting his political opponents on Twitter.